You may have noticed that the windows of fifty seven are getting more interesting! If you find yourself slowing down and staring in don’t worry, we want you to ! 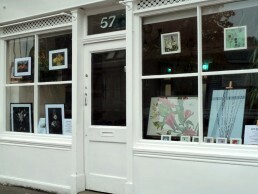 The Art Exhibitions in the window are a new collaboration between Suzanne and local Artist Louise Ward. Louise is an Artist and Educator. She shows her work every year at the Artists Open House as part of the Dulwich Festival and has lived in East Dulwich for many years. 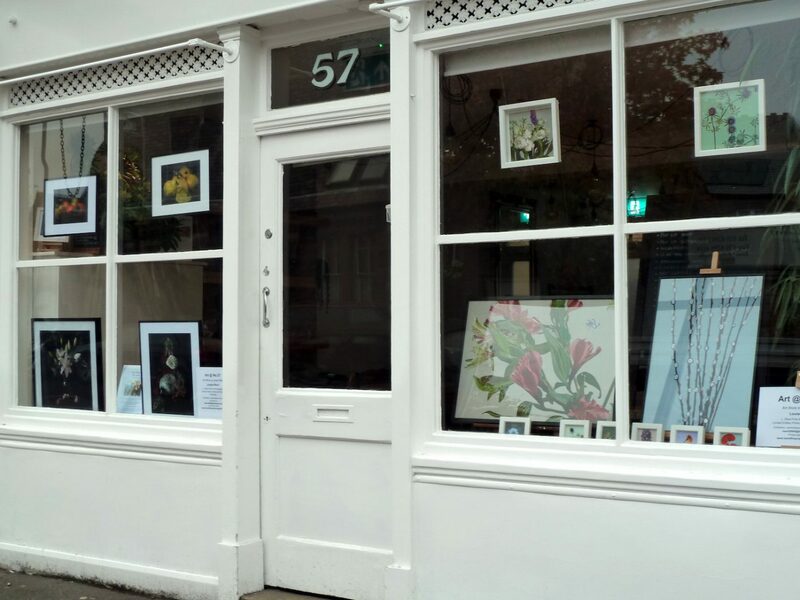 Art@57 will present a rolling monthly programme of Exhibitions in the window space, facing onto North Cross Road . We aim to showcase the work of local Artists highlighting the quality of the creativity in and around SE22. We plan to host a variety of solo and group exhibitions of Paintings, Prints, Photography and other Art forms. We also hope to introduce regular Sunday Salons and Art Markets inside fifty seven. We are looking forward to presenting you with a visual feast ! Please contact infoartat57@gmail.com, with any questions that you might have.